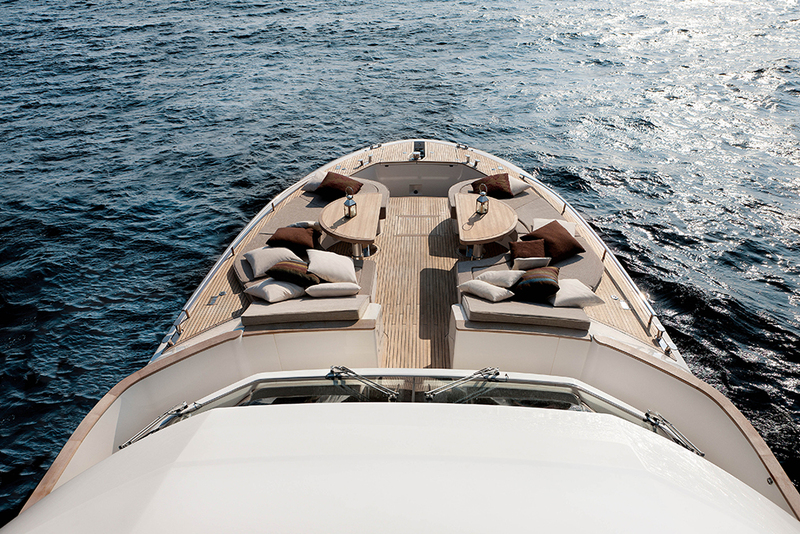 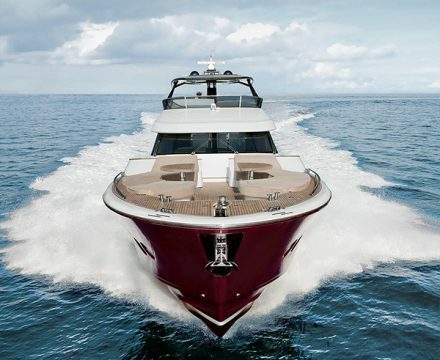 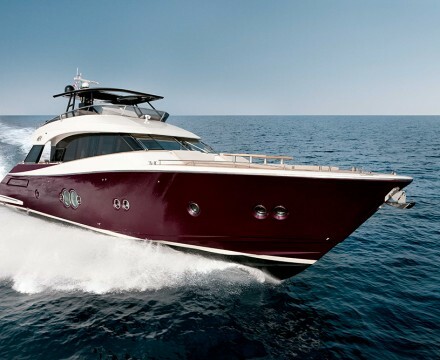 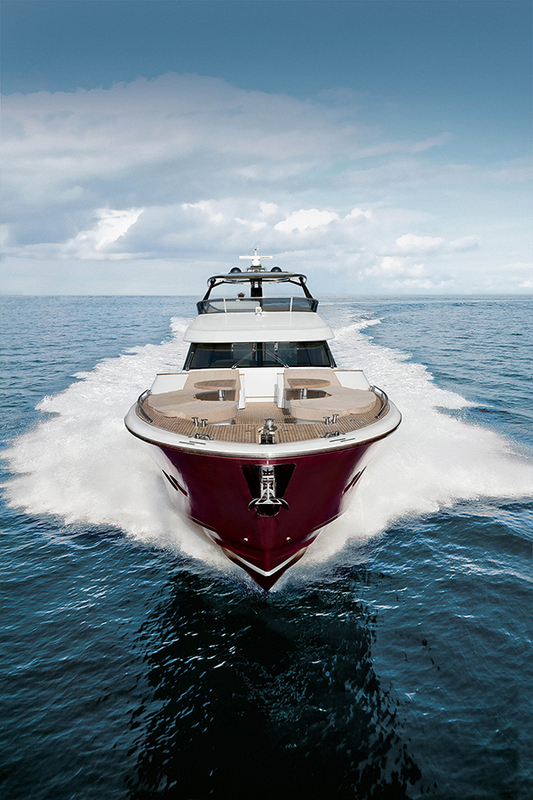 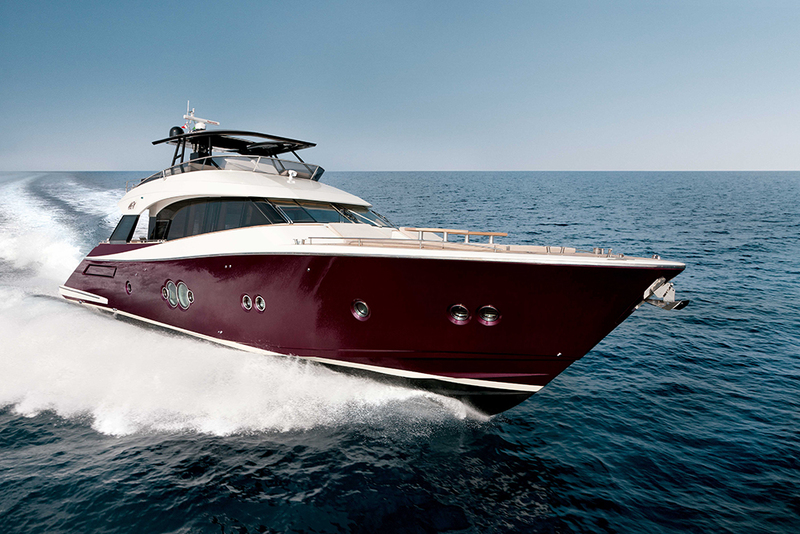 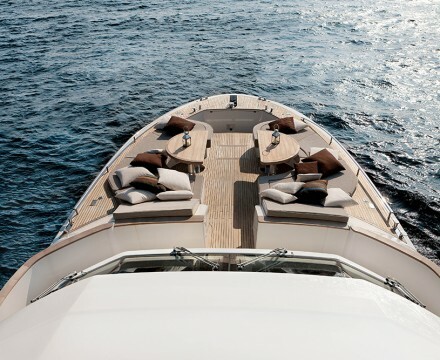 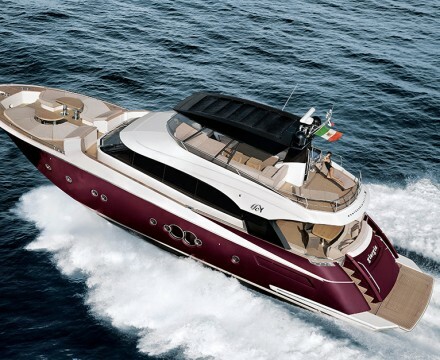 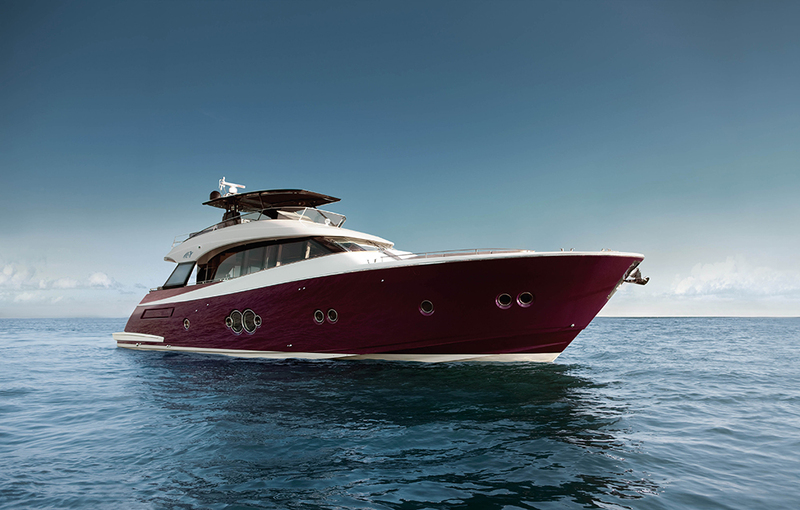 The award-winning MCY 76 wasn’t crowned the boat of the century without good reason. 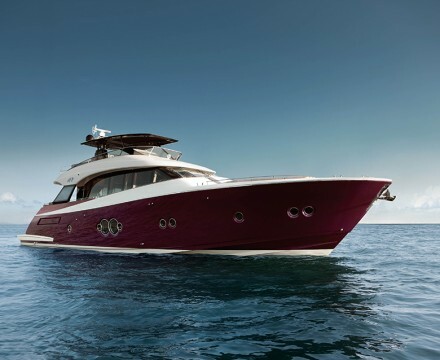 An elegant, yet not extreme motor yacht, destined to stand the test of time, the MCY 76 features strong technical and innovative features which will be tough to beat. 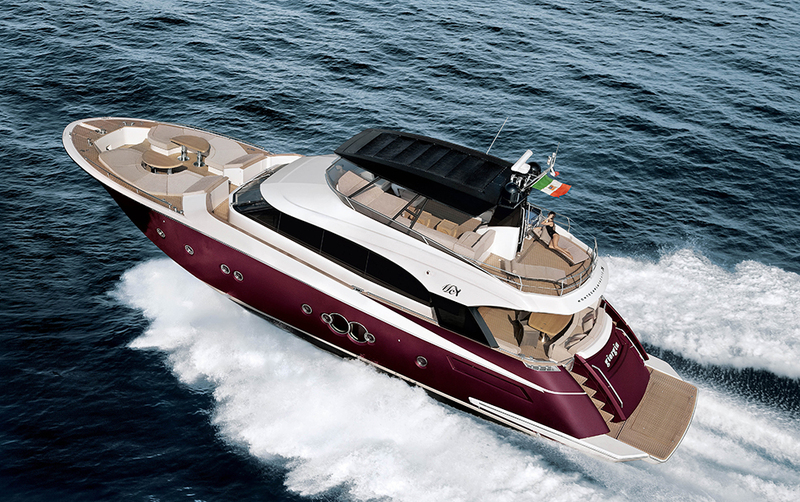 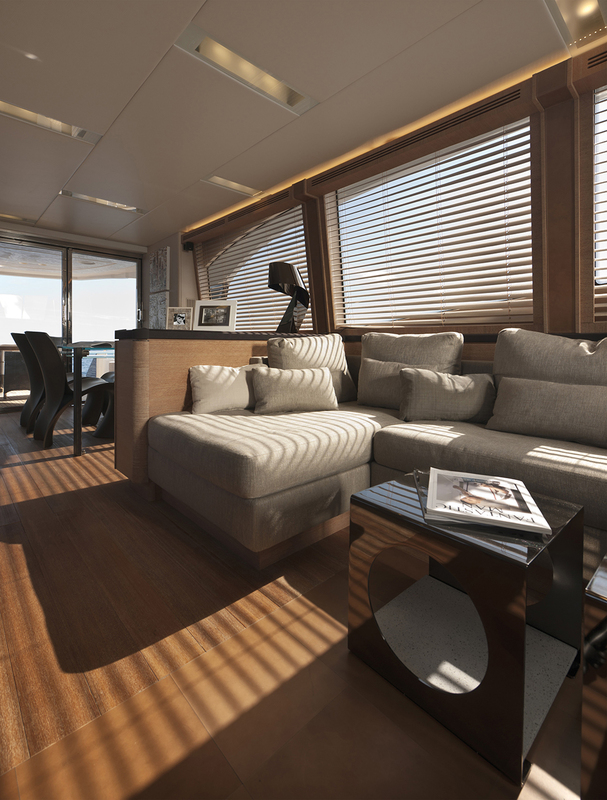 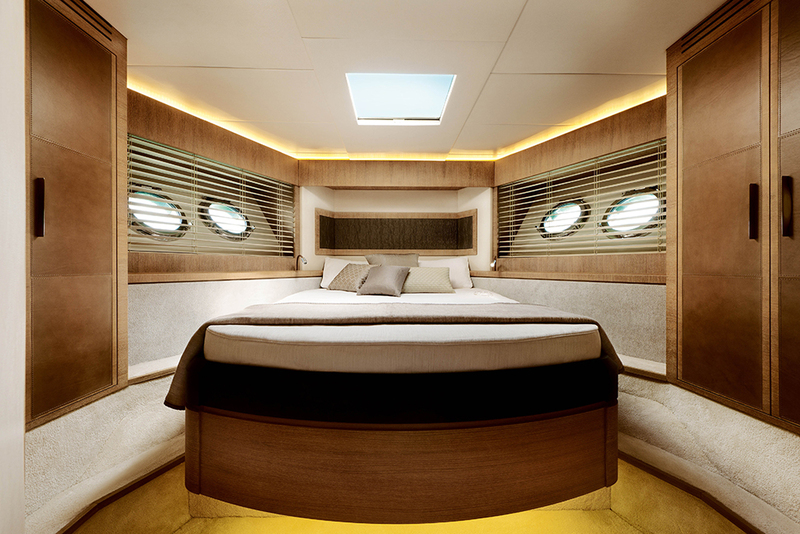 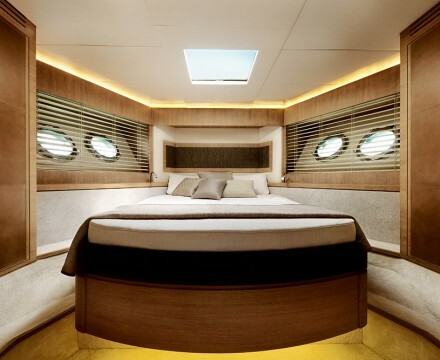 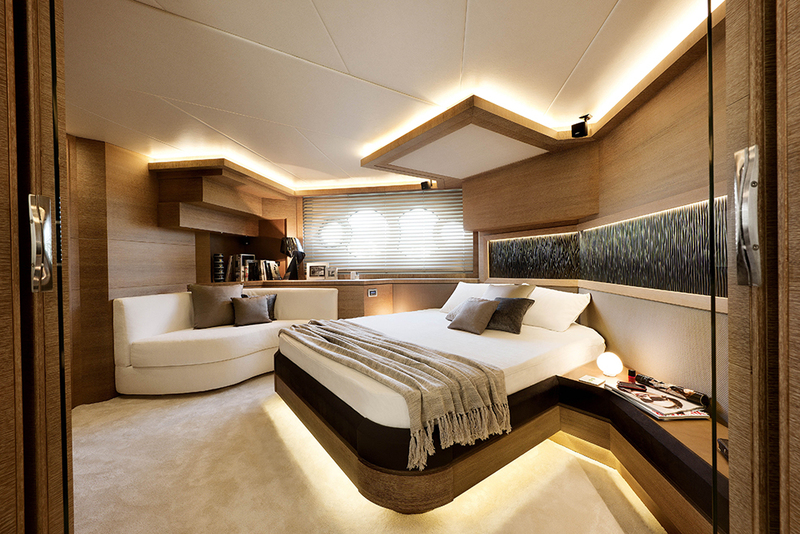 With a 23 metre flybridge the MCY 76 represents the new benchmark for luxury in its stylistic features and technological content. 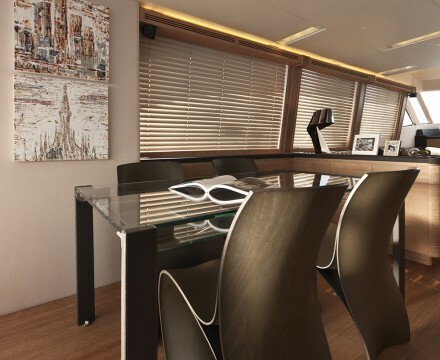 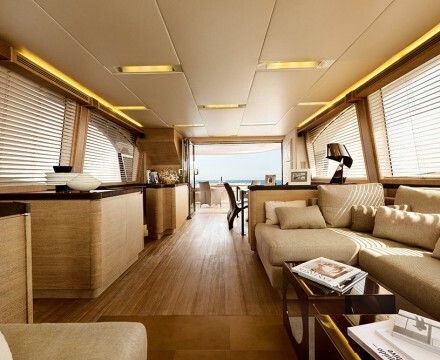 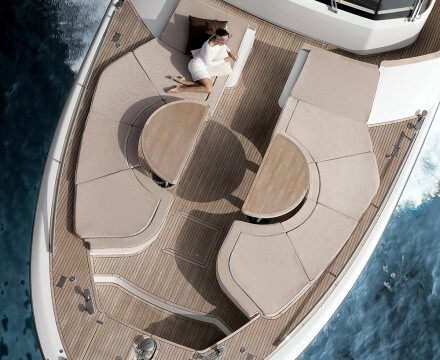 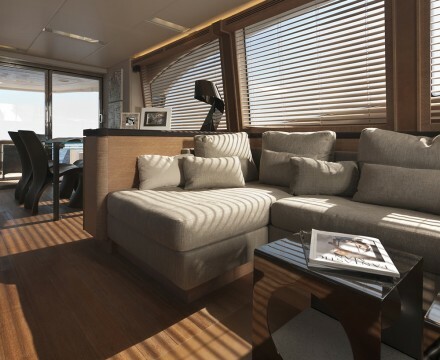 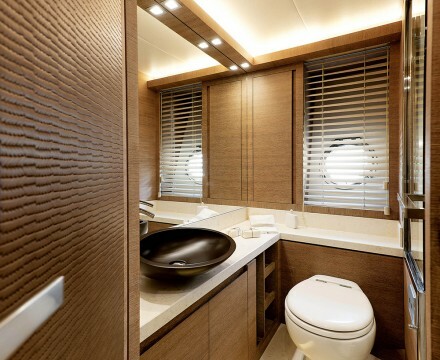 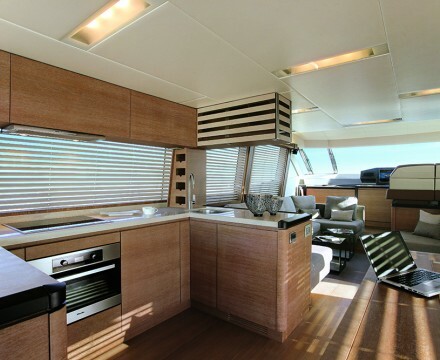 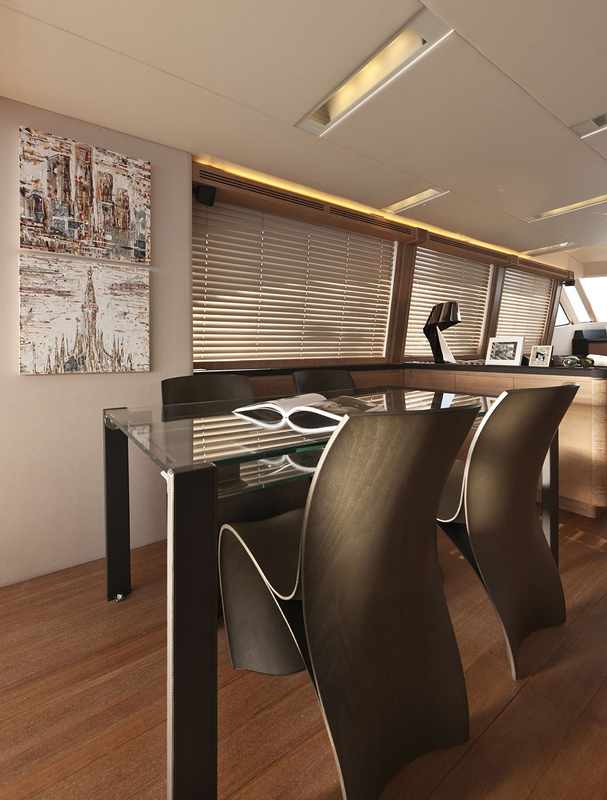 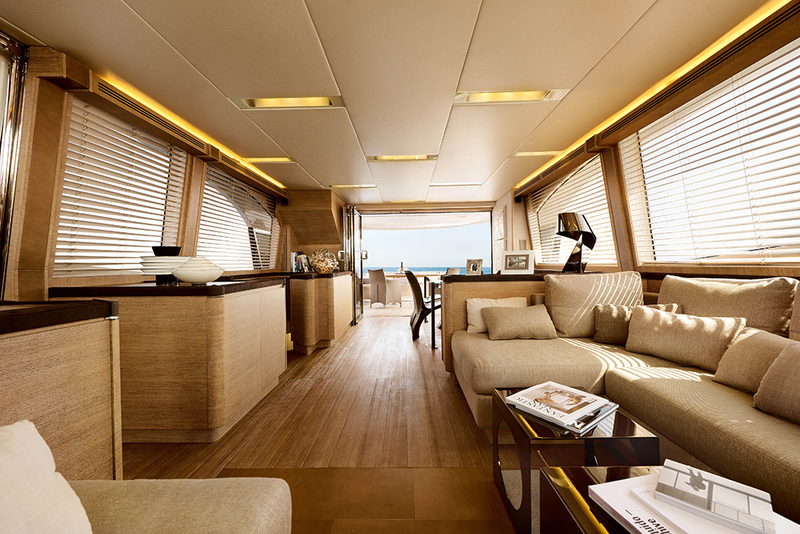 A real boat that develops classic elements into a new concept, shunning ostentation, to present a unique personality and maximum functionality. 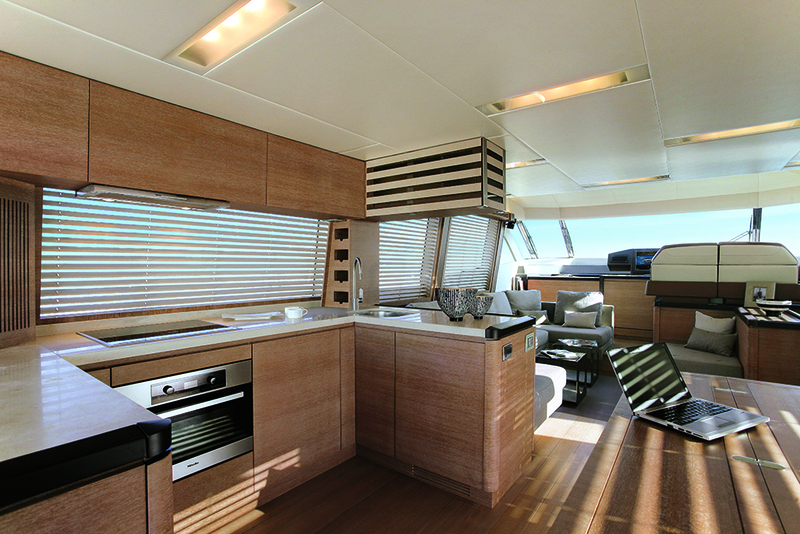 Starting from the advanced keel structure: the self-supporting sandwich plating, together with longitudinal reinforcements (there are no floor plates), a bow crash box and extensive use of kevlar in the areas of greatest impact make the MCY 76 hull a solid but light shell, able to take to sea in safety. 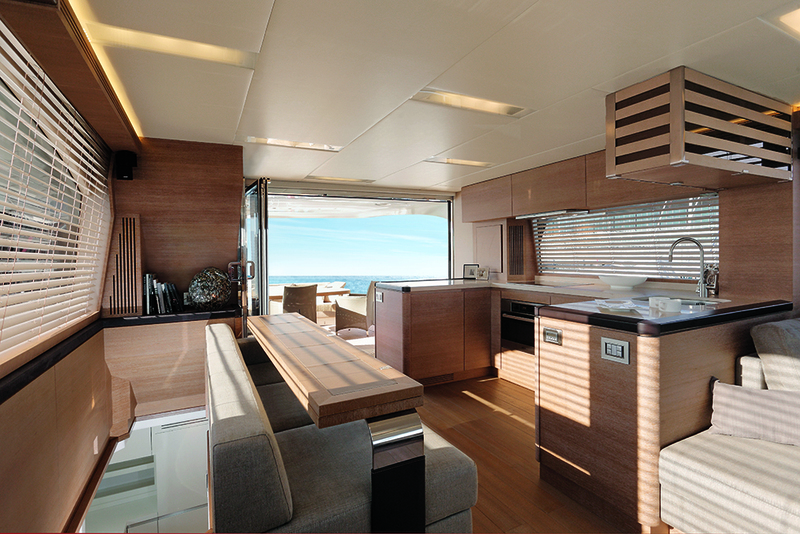 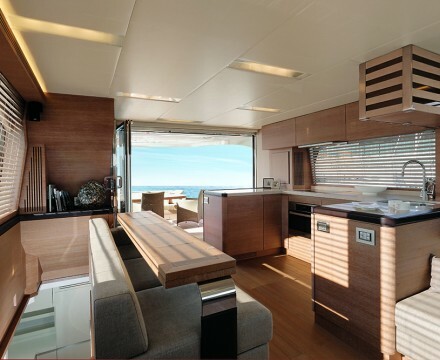 The infusion process extended to all components, even the smallest and most complex in shape, reduces weights and consumption (and for the same reason, most of the slats and interior flooring are in aluminium). 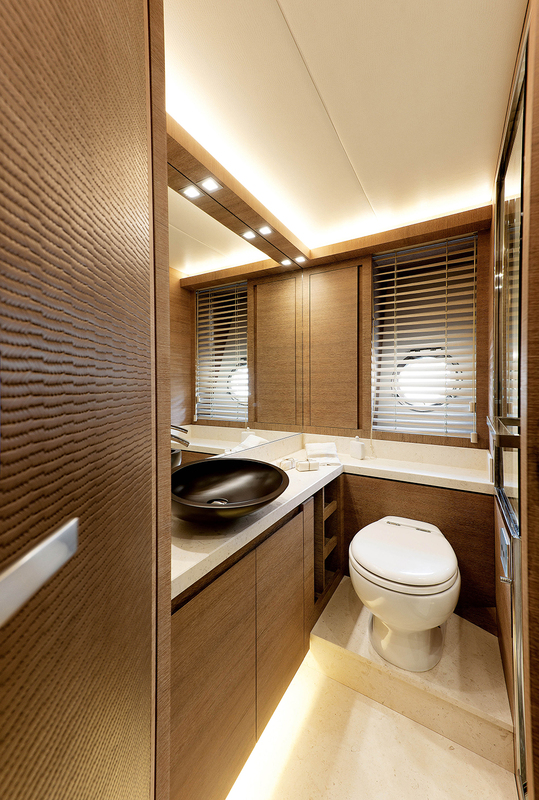 The auto-trim, that is the automatic trim search through the use of interceptors, ensures comfort and plays its part in reducing consumption. 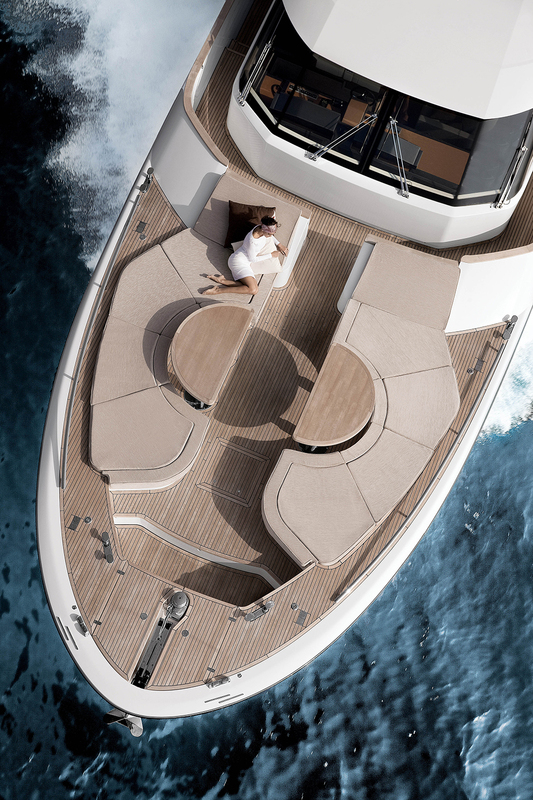 The POD propulsion system, developed by ZF and with a multidirectional joystick, provides for precise and safe manoeuvrability.